Getting things in order. We will have order! Slowly things are taking shape here. 1KW carrier for AM. 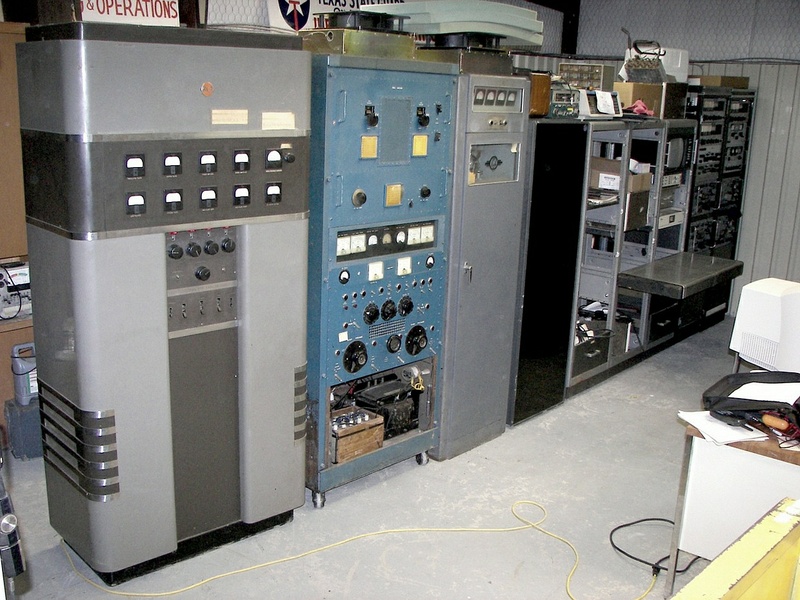 Ex "Texas State Guard" transmitter from 1957. Can be easily reigned in for ham use. Link 250-UFS tranceiver for 6M FM. 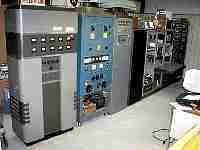 Old police transmitter converted to ham use. 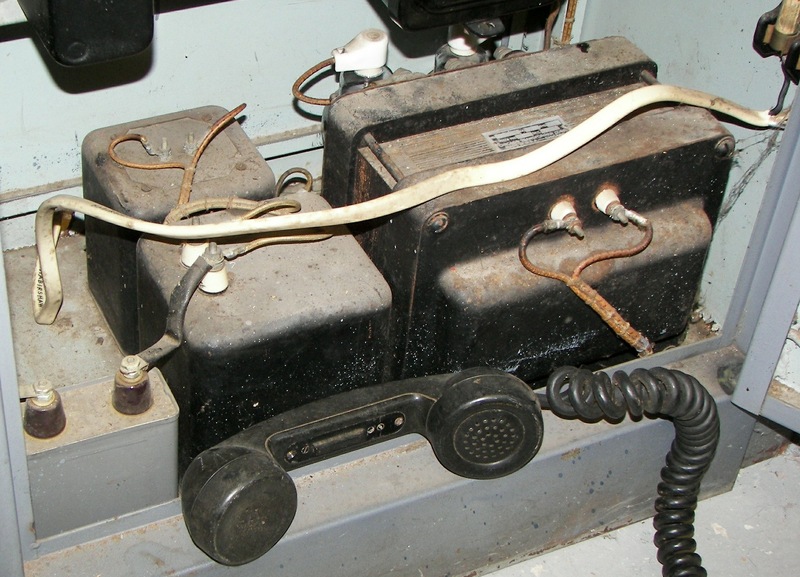 Link Power supply for 50-UFS uses two 816's. 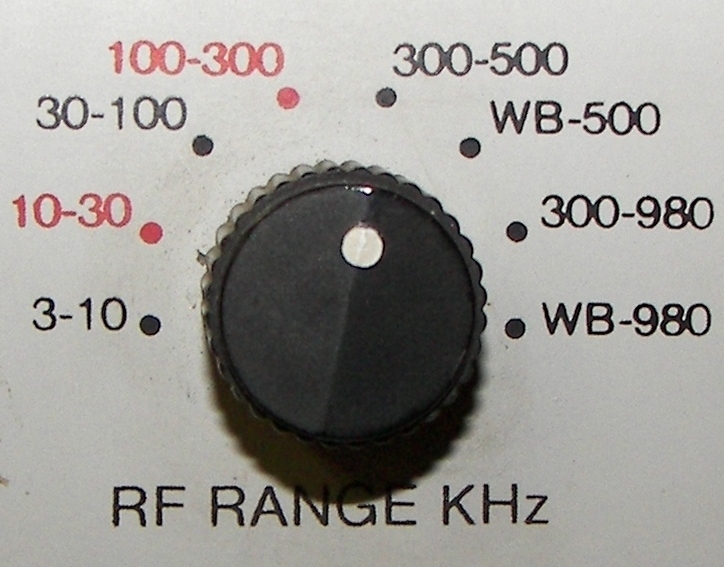 Harris RF-301 continuously covers HF in SSB, ISB, DSB, FSK, AM, several voice and data modes. 1500W PEP. 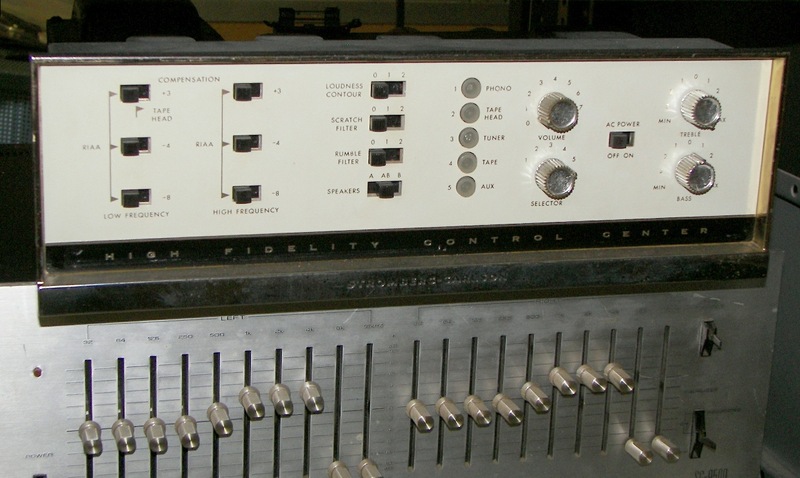 Part of 3-rack operating console. 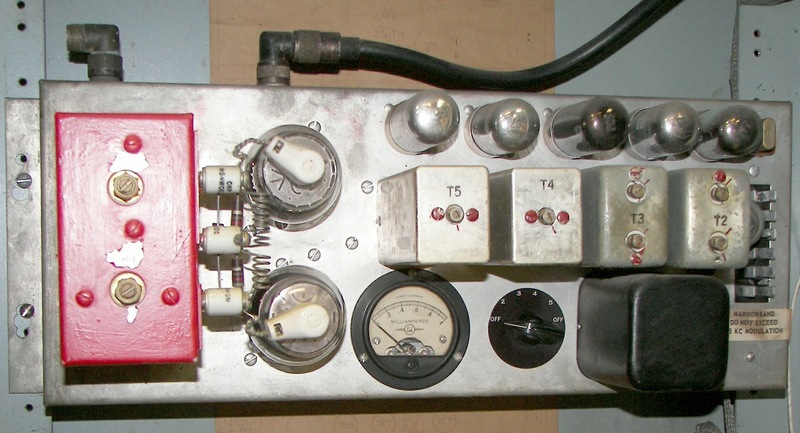 CCTV (small portion of the security system required in any modern Bunker of DOOM), 30W Stromberg-Carlson audio amp to drive the Tucker's modulator, EQ to limit audio response to the minimum bandwidth required, and CBS Volumax compressor to keep modulating levels constant. 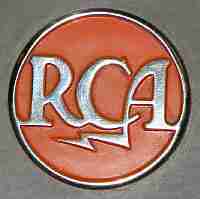 The EQ and compressor will be used with the RCA and Tucker transmitters. Maybe with the Link, testing to be done to see if the deviation is effectively limited that way. 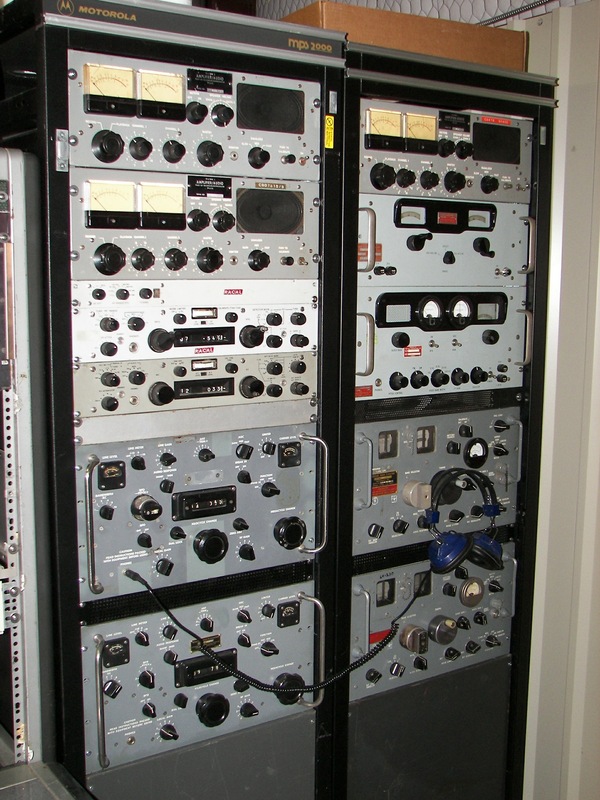 The rest of this rack will need a computer for SSTV and PSK31, as well as a mike preamp, Rf switches for the antenna, controls for the balanced-balanced tuner, and whatever other Doo-Dads, thingies, and Hooter-McGrooter deals are deemed necessary. 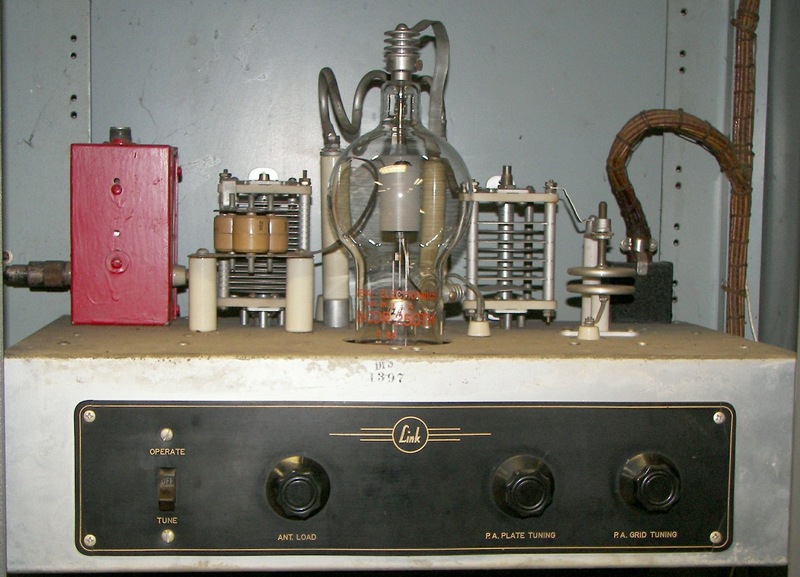 Stromberg-Carlson HiFi amp is really beautiful, and very low distortion and output impedance for driving the Tucker's 3-500Z modulator tubes. Probably will be modified for cahode feedback to improve output stage linearity further. 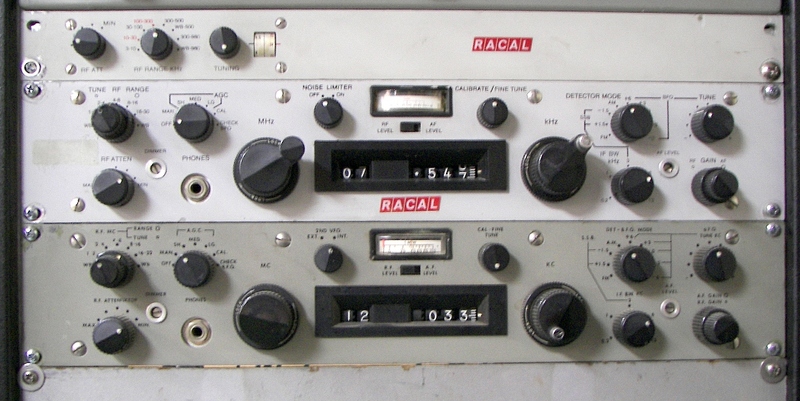 Left: HF receivers: two R-390A, and two Racal RA6217. Above are Magnecord 10W/CH audio monitors with dual push-pull 6AQ5 output amplifiers for quality listening. 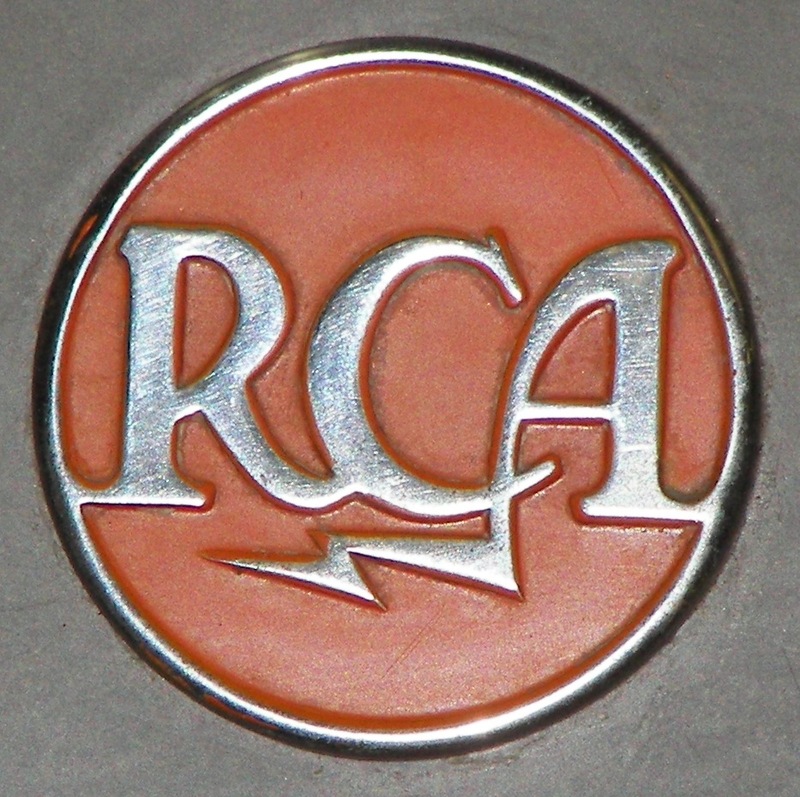 Both channels of each unit share the speaker through a resistive network, but there are 4-8-16-500 ohm terminals on the back for hi-fi speakers if desired. 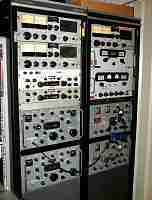 Still lots of good programs on the shortwave to isten to. 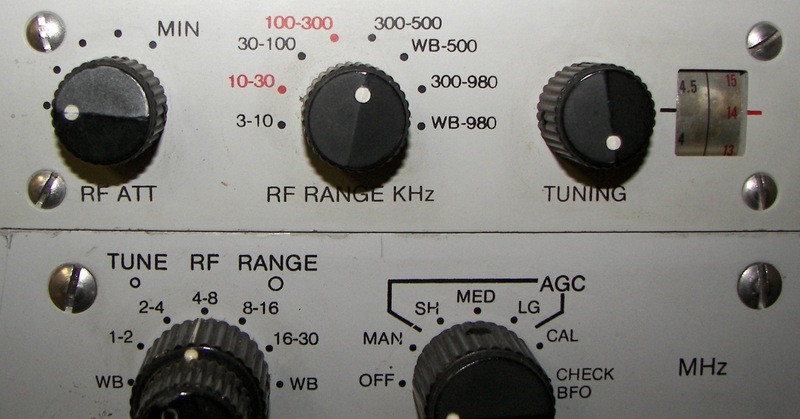 Right: Nems-Clarke surveillance receiver covering 45-900MHz, and below a pair of R-220/URR receivers for 25-200 MHz. 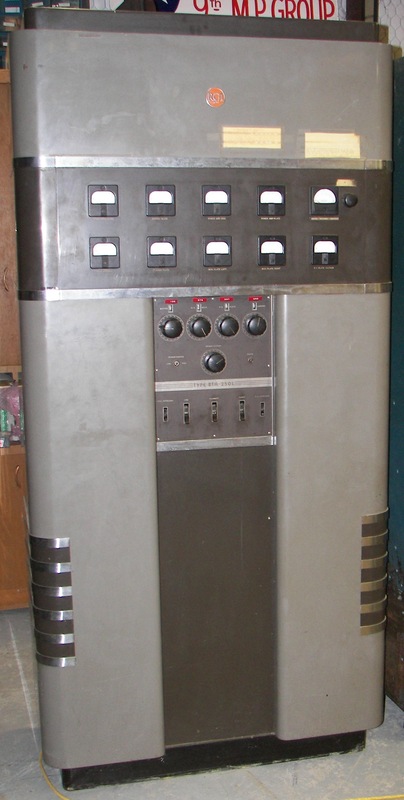 The Nems-clarke has its own speaker, and the R-220's are served by a Magnecord amp. 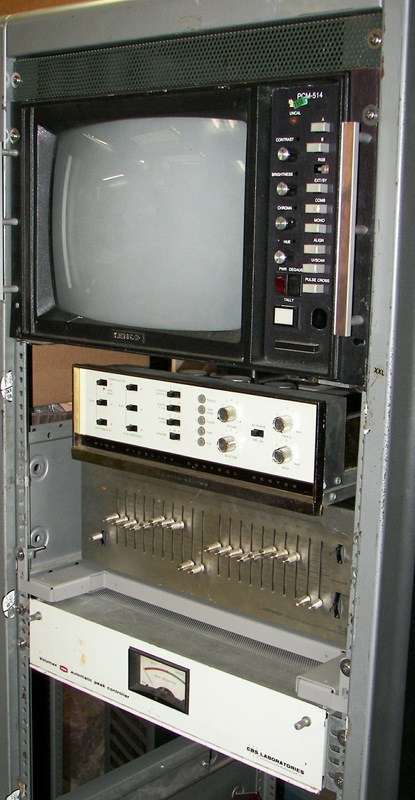 Racal RA-6217 receivers, and a VLF converter. 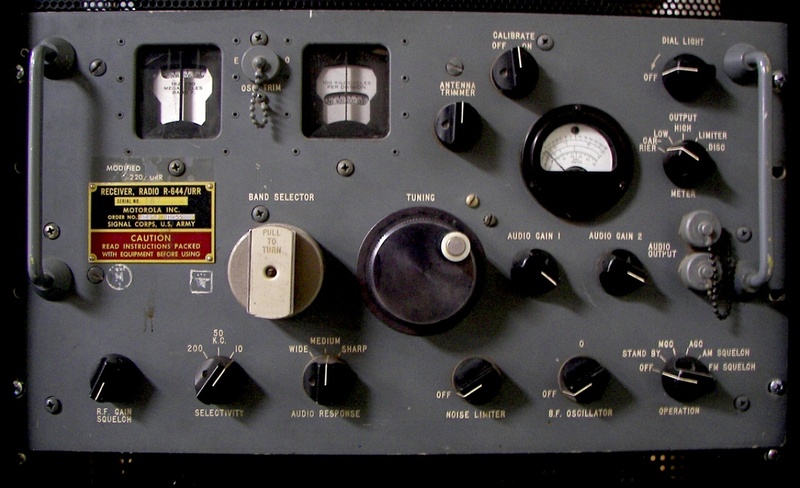 One of the R-220/URR's was modified to R-644/URR. 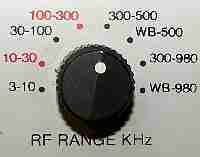 Not sure what that means..
FA-8190 20W VHF air band tranceiver. Need mike.. Not so much to talk to anyone, but for completeness.